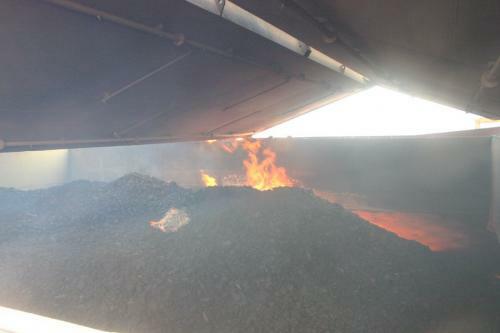 We have been contacted for advice increasingly frequently in the past two years in connection with coal shipments from Indonesia: in just the past couple of months we have dealt with six incidents involving heating coal cargoes from Kalimantan. The root cause of the problems is related to the nature of the coals, combined with the manner in which they have been handled prior to and during loading. The purpose of this note is to draw attention to the factors that are contributing to these problems and to provide some practical advice with regard to the loading and carriage of Indonesian coal. In recent years coal production in Indonesia has increased rapidly to the extent that Indonesia now features in the world’s top three exporters of steam coal (thermal coal): reported coal exports from Indonesia have risen from less than 16 million tonnes in 2002 to almost 150 million tonnes in 20091 , predominantly from Kalimantan, and new concessions are actively being developed. In view of the exponential increase in the scale of coal production and export it is not surprising that we have seen the recent increase in the number of requests for expert advice in dealing with cargoes originating from that part of the world. Although there are deposits of high quality (high rank) bituminous and anthracitic coal in Indonesia, approximately 85% of Indonesia’s coal reserves fall into the sub-bituminous and lignite (brown coal) categories with approximately 80% of current Indonesian coal production rated as sub-bituminous. These lower rank coals are generally characterized by high volatile and high moisture content and tend to be much more susceptible to self-heating than high rank coals. Much of the coal is found close to the surface, and the majority is recovered using open pit (open cast) mining techniques. Most coal mines are located relatively close to coastal areas or inland waterways and, typically, mining companies have developed dedicated haul roads from the mines to river loading facilities where the coal is loaded into barges for onward transportation. The combined trucking and barge distances from the mines to the eventual transhipment point, however, can amount to several hundreds of kilometres. Barges range in size from about 3,000 dwt to 12,000 dwt and are towed by tugboats from the river loading port to the transhipment point. In many cases the transhipment point is a deepwater anchorage where floating cranes or self- geared vessels transfer the coal from the barges to the ship. The local infrastructure includes a number of floating cranes (~25) with coal handling capacities ranging from 10 – 35,000 tonnes/day, together with a limited number of Floating Loading Facilities (3) and Floating Transfer Stations (3) with handling capacities up to 40,000 tonnes/day2 . These tend to be used by the larger coal producers while the smaller producers rely more heavily on geared vessels, self-loading from barges. In addition to transhipment at anchor, there are a few shore-based mechanized ship loading facilities such as those at Pulau Laut and Tanjung Bara. The latter, in East Kalimantan, is one of the more sophisticated and includes a ship loading conveyor, extending 2km out to a deepwater berth, which is capable of loading the largest bulk carriers. Here, the twin quadrant shiploaders have a rated capacity in excess of 4500 tonnes/hour. Given the large quantity of coal exported from Indonesia each year, it is perhaps worth emphasizing that “problem” cargoes make up a very small proportion of the whole. However, when problems do arise they can prove time consuming and logistically difficult to resolve, especially if the most appropriate remedial action involves discharging the cargo at an anchorage. Firstly, because of the geological nature of Indonesian coals generally, all cargoes accepted for carriage from Indonesia should be regarded as having the potential to self-heat – irrespective of what the Shipper’s Declaration states. 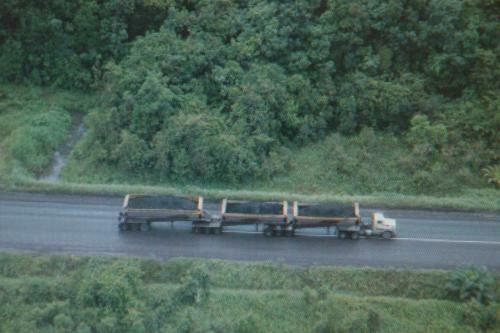 This does not mean that the coal is unsafe to carry, only that the coal must be handled and transported appropriately. Whilst strictly we can comment only on those cargoes with which we have had direct dealings, a common feature in those cases has been the inadequacy of the information provided to the carrier about the nature and properties of the coal being loaded. In practically all of the recent incidents of which we have knowledge, the Shipper’s Declaration has at best been ambiguous or misleading, and at worst plainly (and demonstrably) incorrect with regard to the propensity of the coal to self-heat. Coal cargoes from Indonesia are also still being described by shippers in terms of the former Bulk Code categories “A” to “D” which have not been used by the IMO since 1991 and no longer form part of the Code. In the cases of which we have direct knowledge, the cargoes have been described as “Category A” coals i.e. those with no known propensity to either self-heat or emit methane! 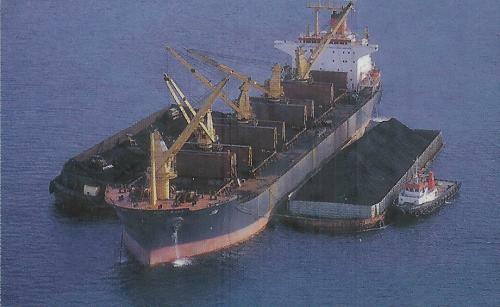 To add to the confusion, in some instances, the description of the coal as “CAT A” has been taken by the ship’s Master to be a reference to “Group A”, which is a designation found under the current Bulk Code relating to the potential for the cargo to liquefy at excessively high moisture contents. Secondly, because of the manner in which the coal is transported for loading at anchor, the coal has often been in barges for days if not weeks before being delivered to the ship. The large barges used are not covered and the coal is thus exposed to the weather and, in particular in the context of self-heating, to the wind. Thus coals which are already susceptible to self-heating may well have been exposed, for a protracted period before being presented for loading, to the very conditions that will promote self-heating. Thirdly, and this follows on from the previous point, if there are significant delays in providing sufficient cargo to fully load the ship, any coal already on board the vessel, in only partially filled holds, will be further exposed to the ingress of air, even with the hatches closed. Prior to loading the Master should ensure that proper and complete documentation relating to the cargo is provided by the shipper. This is a requirement under the Code. If the Shipper’s Declaration states or implies that the cargo is not susceptible to self-heating, treat that advice with circumspection and proceed on the basis that the cargo does have the potential to self heat. Procedures for the loading and carriage of coals susceptible to self-heating, are detailed in the current edition of the IMSBC Code and should be followed. It is vitally important to ensure that the coal being loaded is not already undergoing self-heating. As required by the IMSBC Code, therefore, the temperature of the coal should be monitored during loading and any coal at a temperature in excess of 55oC should be rejected. Coal loaded from barges at the anchorage should be the subject of particular attention in this regard. Although not a requirement under the IMSBC Code, the Code does recommend that a means for measuring the temperature of the cargo is carried by the ship. 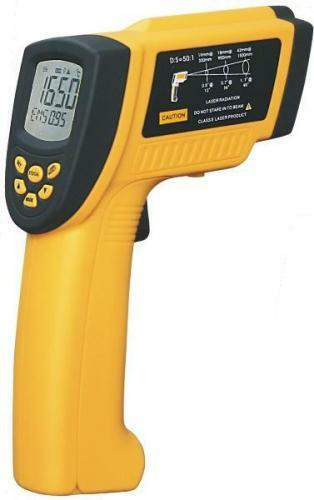 The use of a relatively inexpensive infra-red (non-contact) thermometer can be of considerable assistance to the crew in this regard. In particular such a device can be used to “scan” the surface of the coal both before it is loaded, and once it is on board the ship. Particular attention should be paid to areas of the cargo from which water vapour or smoke appear to be emitting. Ideally, loading should be completed in the shortest time possible and, because of the sensitivity of these coals on exposure to air, the holds should be closed and not ventilated if there are any significant interruptions4 during the loading. On completion of loading the cargo should be trimmed as flat as possible, and the holds sealed, in accordance with the IMSBC Code for self-heating coals. In our experience, the coals being loaded off Kalimantan do not normally emit methane in significant quantities and we would recommend that on completion of loading, the holds are sealed and no surface ventilation is carried out. However, monitoring of the hold atmospheres for methane, carbon monoxide, and oxygen concentrations, in accordance with the IMSBC Code, should begin immediately: limited surface ventilation should only be employed in the early stages after loading if high methane readings are obtained. During the voyage, the hold atmospheres should be monitored at least daily, and more frequently if carbon monoxide and/or methane concentrations begin to rise steadily. With these cargoes oxidation of the coal (potentially leading to self-heating) is to be expected during the voyage. If the holds are kept sealed whilst on passage, however, the oxygen in the holds will become rapidly depleted to the extent that the process becomes effectively self-limiting. In a properly sealed cargo space this will be reflected in a steady decrease in the oxygen concentration; with the more reactive cargoes, the oxygen concentration can be expected to drop to very low single figures. Below an oxygen concentration of about 10%, any LEL (methane) readings will be unreliable using the sort of instruments typically employed for monitoring. However, such low oxygen concentrations will not support combustion and any flammable gases that are present will not present a risk while those “inert” conditions are maintained. Clearly, if increasing concentrations of carbon monoxide and/or methane, measured during the voyage, are giving cause for concern, further expert advice should be sought. 3 One recent Shipper’s Declaration specified that the cargo should be loaded in accordance with IMO MSC Circular 544 1990 – MSC 544, in fact, relates to fire drills on board ship! It is presumed this should have been a reference to MSC 554 1991 although why reference is being made to a code drawn up 20 years ago rather than the current IMSBC Code is not clear. 4 Stoppages of more than an hour or so. 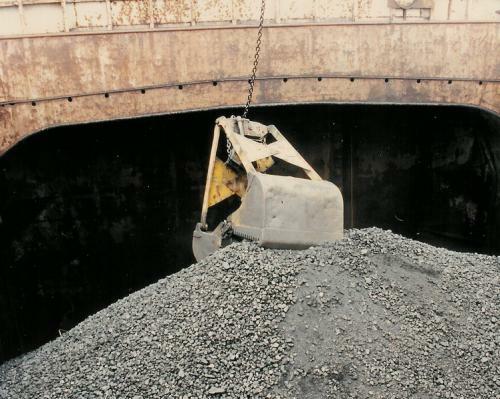 For further more detailed information or advice on the safe carriage of coal cargoes please feel free to contact us.